Spring has set in. It is a perfect time to rebuild a room in the house. Underneath the roof tiles there is often an abundance of space, a good excuse to take the opportunity and do something with that available space. 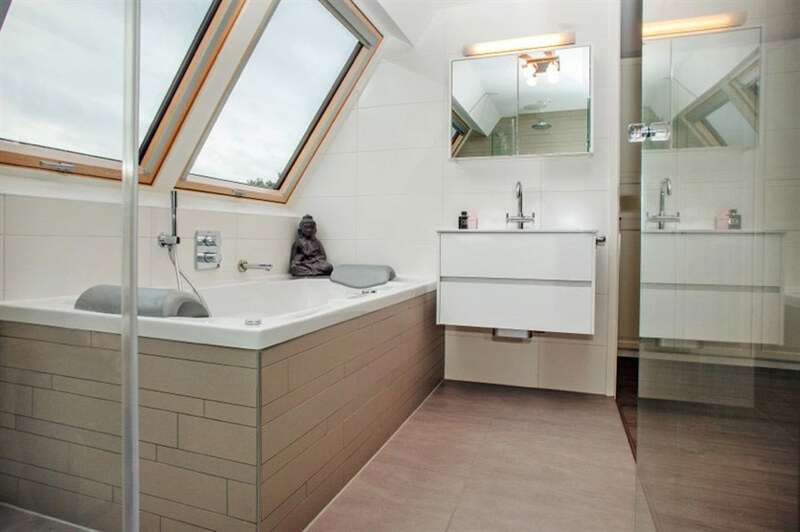 The Dutch company Hagendoorn Bouwprojecten helped the owners of this family home with there wish of creating more livable space in their attic. It was a smart rebuild. 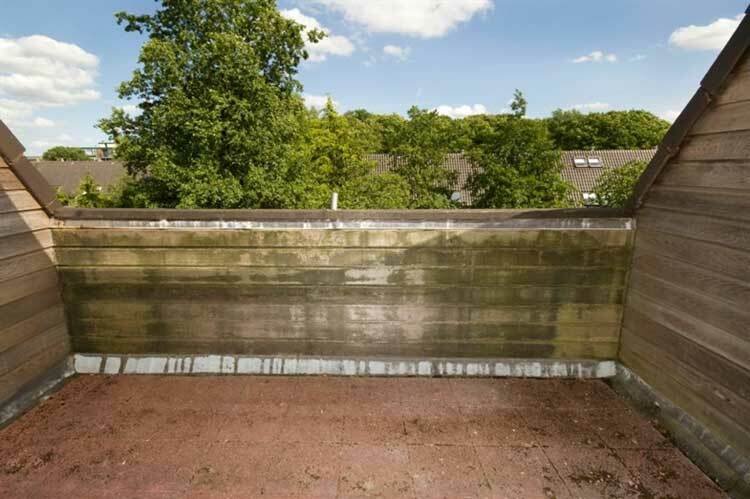 The home owners rarely used the balcony, so they decided to add this space to their living area. They transformed the outdated balcony into a full bathroom. The sanitary facilities were placed and the expansion is equipped with three FAKRO energy-efficient FTT U6 roof windows with double chamber glazing unit. This ensures a maximum income of natural daylight and an excellent isolation. On the other side of the attic there is a bedroom situated. And with this expansion they have created extra living space with a bathroom. From almost every position in the attic there is a view of the beautiful natural surroundings outside. 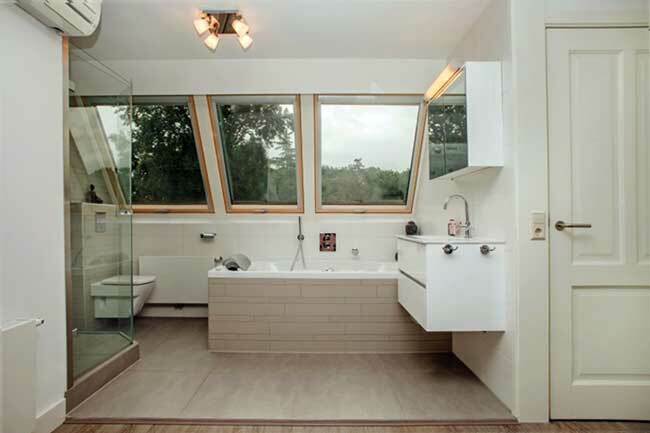 Would you also like to build a bathroom in your attic? Please keep in mind that there are extra facilities required in the attic when it comes to sanitary. Try to build the new bathroom above the existing bathroom as much as possible. That way you can use the existing installations and expand from there. You will also have to take into account that there will be more moisture in the room. To reduce that you can ventilate the room regularly by opening a window. Also; use roof windows with an increased resistance to moisture.